NEW YORK, NY – Following a star-studded launch event at Usain Bolt’s Tracks & Records restaurant in Montego Bay on January 30th, Strictly the Best Volumes 58 and 59 debuted at Number 1 and 3 on the Billboard Reggae Chart. With Strictly the Best 58 at number one and 59 at number three, between Julian Marley’s “As I am” at number two, there couldn’t be a better way to launch the 2019 installment of such an iconic piece of VP Records’ history. To further celebrate, other VP titles, Estelle’s “Lover’s Rock” came in at number five and Beres Hammond’s “Never Ending” hit number six on this week’s Billboard Reggae Chart. Kicking off its 40th Anniversary, VP Records took the launch of the series global by presenting a one-of-a-kind multimedia event, sponsored by Coral Cliff Montego Bay, The S Hotel Montego Bay, Usain Bolt’s Tracks and Records and RJR Gleaner Group and including a television broadcast on RETV and TVJ in Jamaica, radio broadcast on FAME FM with global link-ups and more. 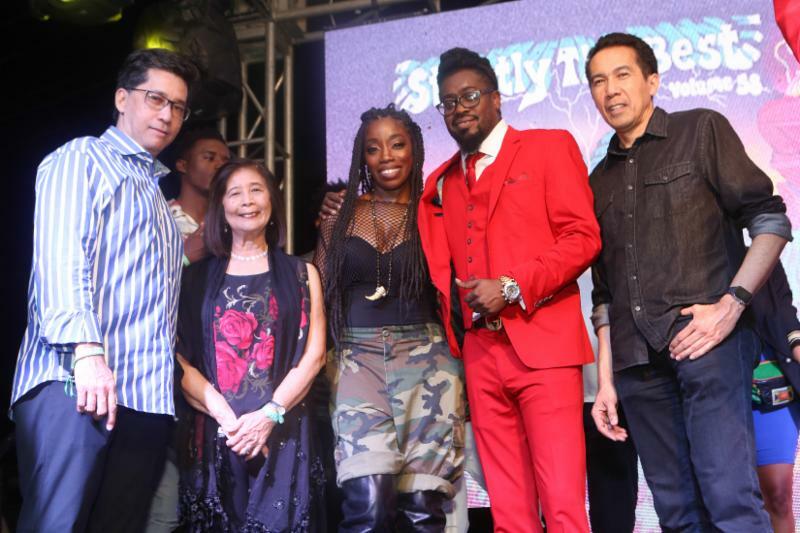 The night began with televised interviews with the Chin family and Aaron Talbert of VP Records, along with the array of artists performing, hosted by Debbie Bissoon. 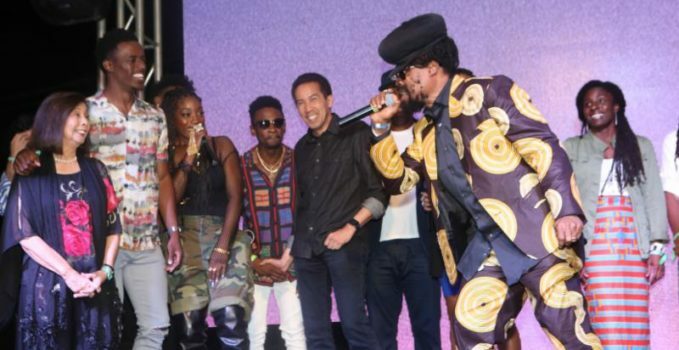 The concert, produced by “Richard Lue of VP Records and Sutania Williams of RETV and hosted by Brian Brown of Coral Cliff; Estelle, Beenie Man, Christopher Martin, Shenseea, Jah9, Teejay, Bulby York, Tarrus Riley, Romain Virgo, and Raging Fyah were amongst the acts that performed. 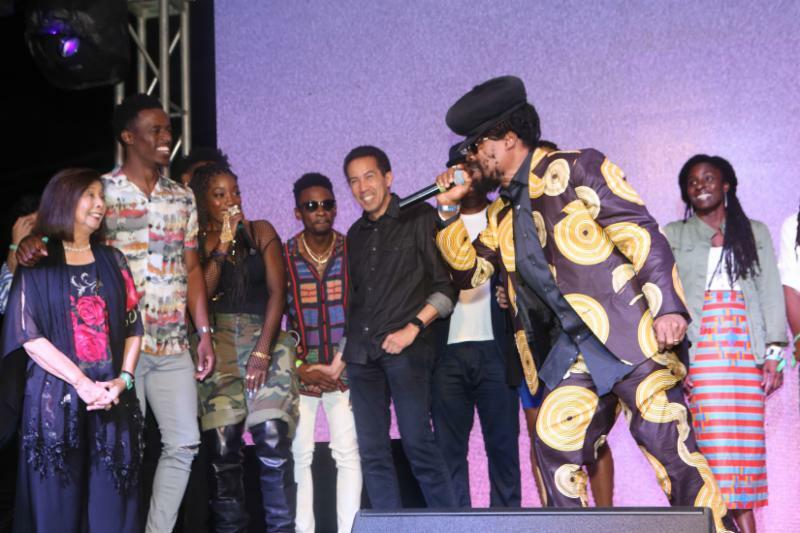 Beginning with Raging Fyah with new lead singer Journee and concluding with Beenie Man and an impromptu group performance of Bob Marley’s “One Love”, the celebration ended with a showcase of unity among some of reggae and dancehall’s brightest stars. Fans across the globe got a chance to join in on the fun and experience the event by tuning into the YouTube live stream which racked up several thousand viewers. Major cities around the world also hosted viewing parties allowing for communities of reggae lovers to unite and celebrate the release of Strictly The Best 58 & 59, as well as VP Records’ legacy. The Strictly the Best Live Watch Parties in North America took place Wednesday, January 30th from 8pm to 10 pm at the following venues: Blue Martini in Fort Lauderdale, Eat Right Caribbean Restaurant in Atlanta, Sandz Bar and Grill in New York City, and Epiphany Restaurant and Lounge in Toronto. Top 2 Photos from Queens, NY Watch PartyBottom Photo from Ft. Lauderdale Silent Disco/Watch Party Strictly the Best Live was the perfect culmination of VP Records’ 40 years in the United States for the multimedia event gave fans all over the world unprecedented access into Jamaican culture, mirroring what VP had initially done when Vincent and Patricia Chin brought VP to New York and helped introduce Reggae to the world. “We are proud that one of our staple compilation albums was celebrated in such a grand way, in a special place, with a talented group of artists,” said company president Randy Chin. “We couldn’t have a better kickoff to the 40th anniversary of VP Records and we are overjoyed that the album debuted at number one and three on Billboard and that people have supported the project tremendously,” he concluded. VP Records has been at the forefront of globalizing reggae music and a major part of the journey has been consistently producing the Strictly The Best albums since 1990. The highly anticipated series present the hottest songs and breaking artists from dancehall and reggae, which are at the core of VP Records.